and I wanted to start using Ubuntu instead. So I tried it first from the live CD and everything was OK and all the partitions were shown and working and so I decided to install Ubuntu to replace Vista on the (C:) drive. After I did that I can no longer find my folders and files on the (D:), (E:), (F:) partitions and the only file system that is shown is one 198 GB although my HDD is 320 GB. I am now working from the live CD but I am unable to install testdisk. Can I recover the Vista partitions by the product recovery CD to get my laptop back to the factory settings? Can I recover the NTFS partitions using a recovery program for Windows or will that make the problem worse? I need these data badly as I don't have a backup for them. Unfortunately it seems you accidentally partitioned your whole drive replacing your Windows partitions with a single Ubuntu partition. You will not be able to recover these partitions by restoring Vista with the recovery CD. In fact every write attempt to your hard drive will make things worse as remnants of your data may get more and more overwritten. 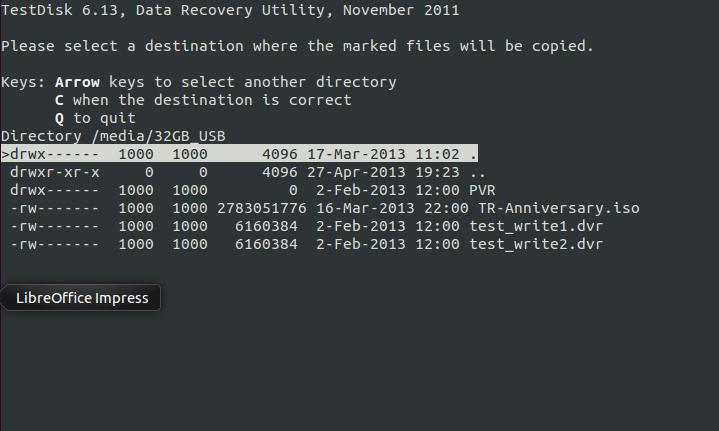 You may however be able to recover your partitions with testdisk but you may not be able to recover all of your data. You can temporarily install testdisk on a live session too (however this will then not be a permanent installation). Please have an external drive ready to save your recovered data before you proceed. You can't recover the data on the same drive. Mount your external backup drive in the live session (e.g. with Nautilus) to be able to store recovered data later. Follow the concise step by step guide on the Testdisk Wiki which will help you to recover lost partitions. If you are not able to recover from an image of your overwritten drive (this will need an external drive with more than double the free space than your laptop's hard drive) you need to save all your data on an external drive soon after recovery. You will not be able to recover your Windows installation, as this was overwritten by Ubuntu. Only if you fail to recover partitions you may be able to recover single data file using PhotoRec from the TestDisk suite but this will not recover filenames, folder structures or time stamps of your files. Do not use the drive before you were able to recover your lost data. When we press C in the example above our above selected example.desktop, and the folder rsynctest will be copied to the external USB drive. To verify we had succeeded we can now open Nautilus in our live system and see the content of the rescued files. After we are done, do not forget to unmount the USB drive. DON'T CHANGE ANYTHING ON YOUR HARDDRIVE! Don't install any software, updates or anything else, if possible don't even use Ubuntu until you recovered your data. Else, you will render yor data unrecoverable! Download SystemRescueCd and burn it. Use it to recover your old partition table. After recovering it, copy all data to an external drive. You will probably be able to recover most of your data, although some will likely be lost forever. After copying your data you can safely install Ubuntu over the entire disk. 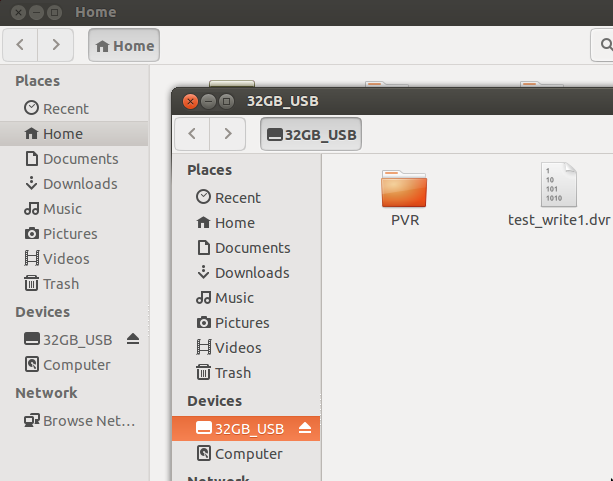 After that, you can create more partitions if you want and copy the data back to your PC. Keep in mind, that regular backups are always a good thing to have. (Ubuntu has a tool for that, just hit the Windows key and type "backup". 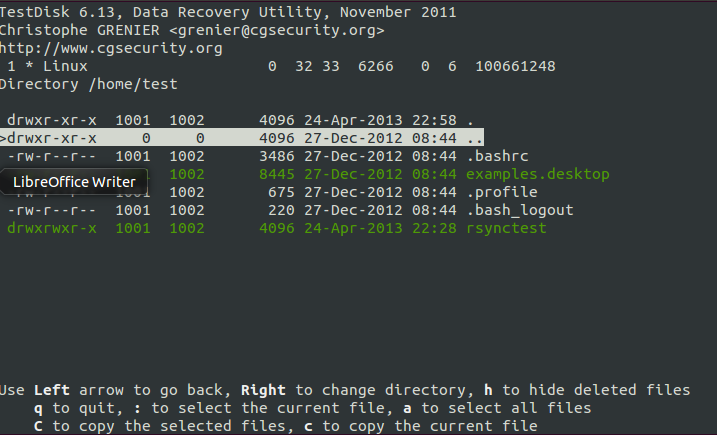 Since no one provided a GUI alternatives for the terminal impaired Ubuntu users, here is a GUI for Testdisk. At boot-up, select try Ubuntu out. Select the drive you want to recover, and where you want to recover all the data too. Pray to our Human Deity, and hope you get everything back. Also, let this be a lesson: ALWAYS BACKUP. Always. Not the answer you're looking for? 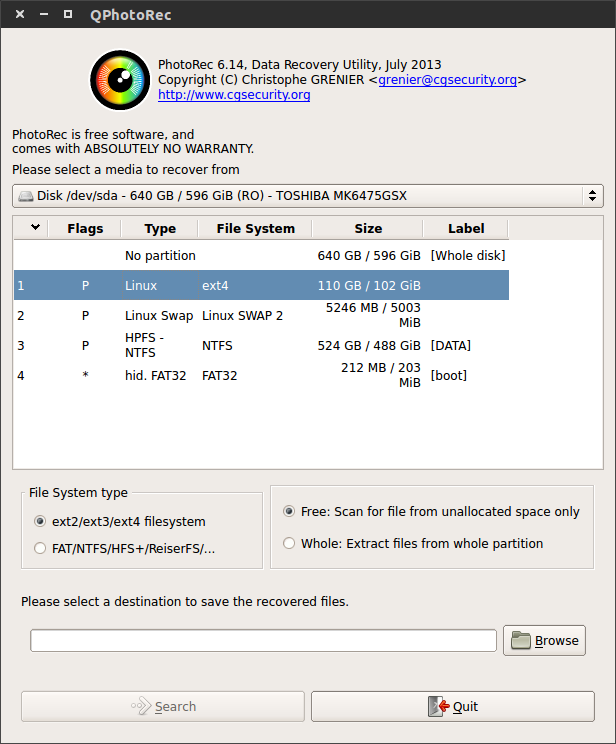 Browse other questions tagged ntfs data-recovery partitions or ask your own question. How can I recover my data after replacing Windows with Ubuntu? How can i Recover Windows 8 after deleting? 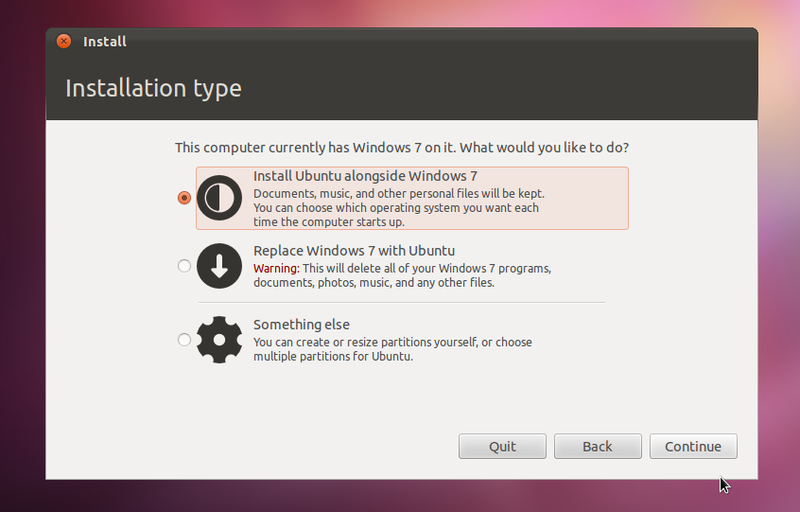 How to recover lost partition and files after installation of Ubuntu on Windows partition? Formatted Windows 10 partition by mistake while installing Ubuntu. How can I recover it?